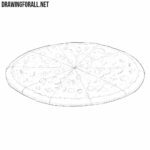 So, we continue to draw all sorts of tasty things. 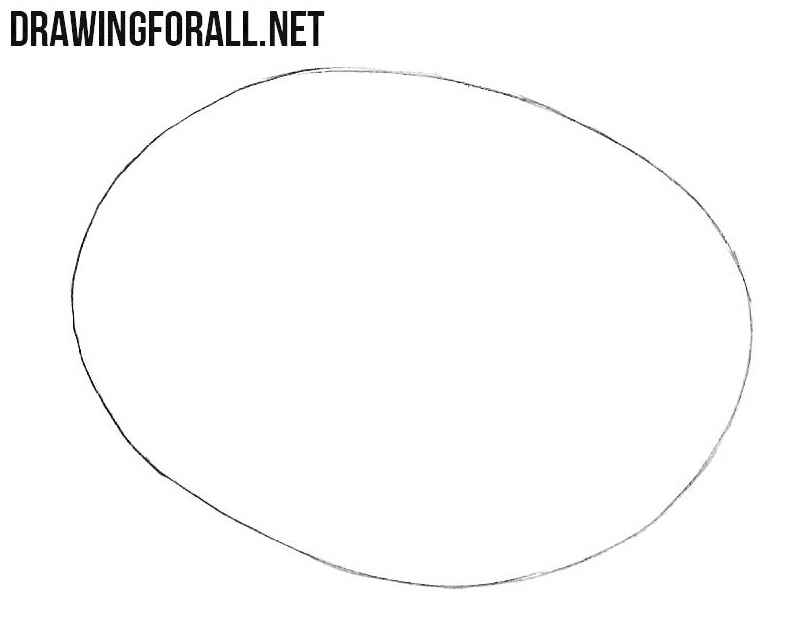 And today we will tell you how to draw pistachio. In fact, pistachio is a very unusual nut. Pistachio can be used in salty dishes, such as salads, pistachio is also used in desserts, such as cakes or ice creams. 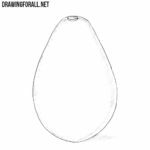 First draw a flattened oval. Place it right in the center of the paper. 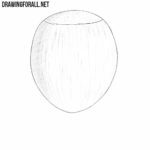 Note that in our example the nut is slightly angled, so consider this when drawing this general shape. Most importantly now, use very light lines to make it easier to erase them later. Now let’s divide the core and the shell. 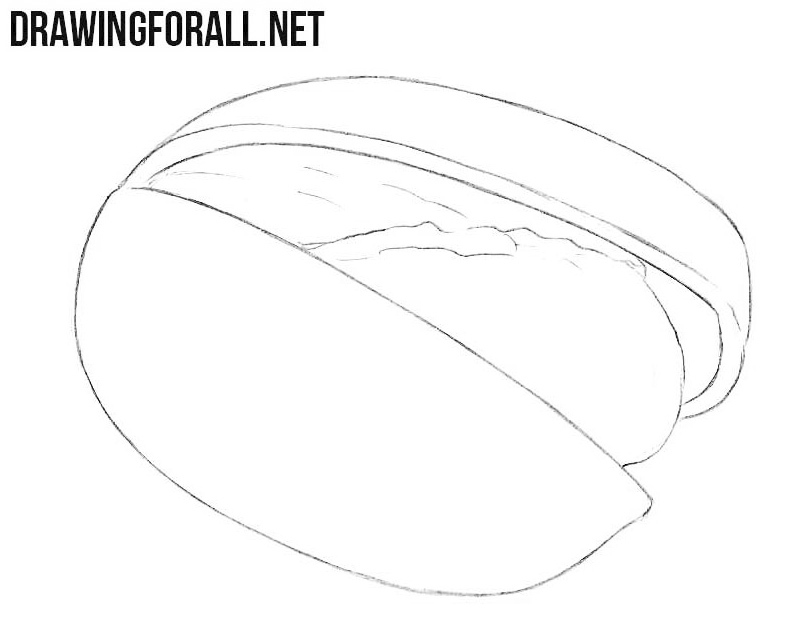 In order not to get confused, you should first draw the contours of the shell. Just mark two long and curved lines that diverge from one point. After that, draw a core of the pistachio between these two lines. Let’s now detail our pistachio sketch. In this step we will add a small crack in the center of our nut. 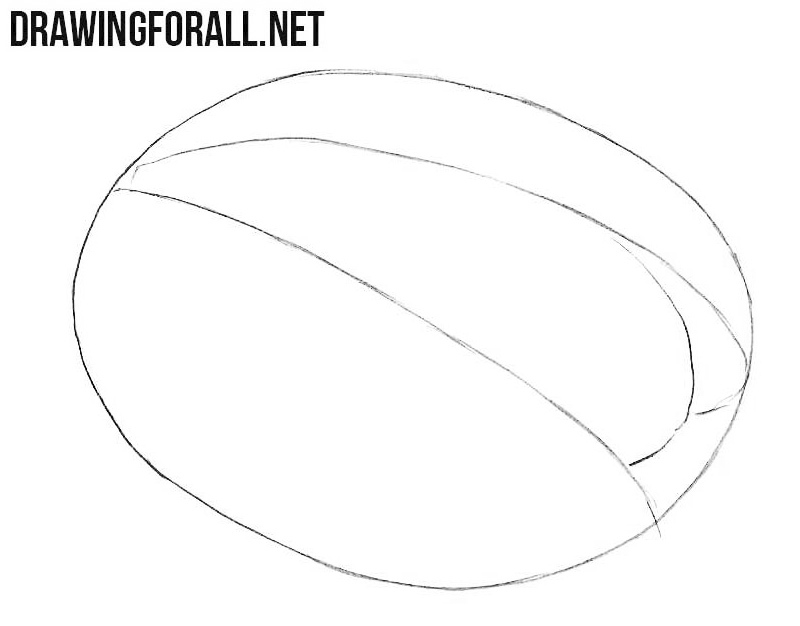 First, let’s add some volume to the shell with the help of a line repeating the outlines of the shell. Erase unwanted lines and add some texture. 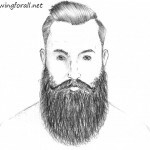 So this drawing tutorial is almost complete. And we just have to work with shadows. Light does not fall on the inside of the nut. You should paint these areas with wide hatching. The lesson on how to draw pistachio is complete. Was it difficult for you? We hope not. 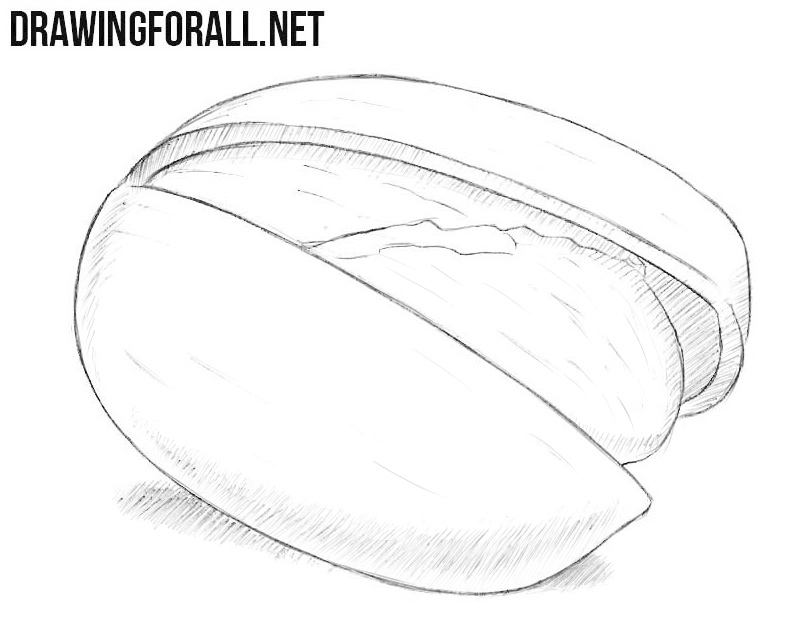 If you encounter any difficulties in drawing a pistachio, be sure to write us about it. We are waiting for your comments either under this article or in our social networks. 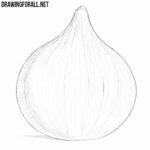 By the way, many of the ideas of our latest drawing lessons are taken from the comments under our old articles. 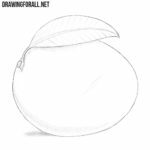 Our readers often ask us to draw these or other things, so do not stand aside and propose new ideas to us, and they will definitely be implemented in the pages of Drawing For All.